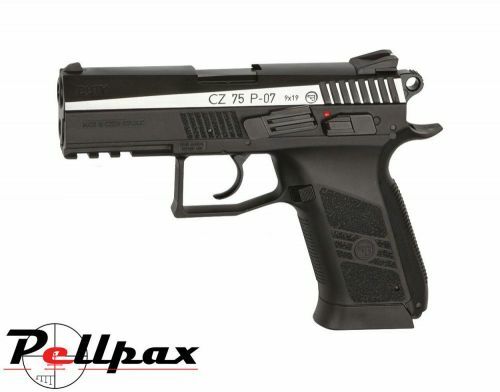 The ASG CZ75 P-07 Duty .177 BB Air Pistol is ideal for target shooting or plinking thanks to its high accuracy. The Semiautomatic action of the CZ fires .177/4.5mm steel or copper bb's as fast as you can pull the trigger and is powered by 12g CO2 capsules that mount directly into the grips for easy installation. The pistol comes with a 26 shot magazine and should get 50-60 shots out of a single CO2 capsule.